Update: We are MATCHED!! Baby girl due November 2016. Our adoption costs will be near $40,000 not including travel fees. A donation of ANY amount is a huge blessing, remember every donation is a tax deduction. 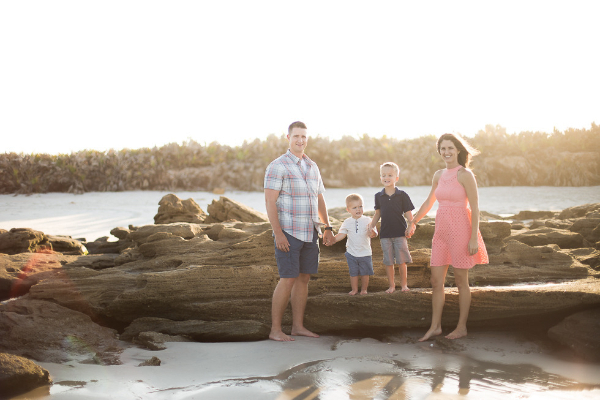 We are Ryan & Brittany; we have two boys ages 4.5 and 2 years old. Our oldest son was born at just 24 weeks gestation; our youngest son was born at 35 weeks. After two very high risk pregnancies, that blessed us with two preemie boys, and also the loss of a pregnancy-- we knew it was TIME! God had laid adoption on our hearts long before Ryan and I ever knew each other; it was something we knew that at some point in our marriage we wanted to do. We began the journey to be a waiting family October of 2014 and were officially waiting on May 1, 2015. We can not wait to add a little bit of pink (or a lot) to our sea of blue and the boys can not wait for their baby sister! I bet you are wondering why we spelled miraKle wrong 😉 Both of our boys names begin with the letter K and so will our daughter's. Each of our children are miraKles and God has given us an amazing testimony through them to continue to share! All donations made are tax deductible. Adoption Bridge allows us to raise 1/3 of our adoption costs on their website by donations! Our adoption is going to total around $40,000. We have been saving and fundraising like crazy but we still have a long way to go. We will have to pay for our adoption in increments the first big amount will be due at the time we match. We would be so grateful for your financial and prayerful support on our adoption journey! To keep following our journey to our match with our expectant momma and to the day we are placed with our little girl, you can follow us on our adoption Instagram account @RhodenAdoption and on our website www.therhodenlife.com! We're so excited for our Rhoden family and can't wait to meet Baby R. Love y'all. Congratulation! So happy for you and pray you will receive many blessings for the love and care you will be giving to your new daughter. Such an exciting journey. Can't wait to hear what Ms K's name is and see her sweet face. Praying for a good adoption experience. God Bless you guys!! Love y'all! !